One of the top reasons couples seek help for their relationship is because they have trouble communicating. In this workshop, I teach couples the AGAPE LOVE model that I created to show couples how to effectively communicate, manage conflict and problem-solve, through practical and biblical methods. After this workshop, couples will look forward to communicating instead of dreading the “can I talk” conversation. A big concern for couples who have to deal with everyday life is the connection being maintained with their spouse. I work with many couples who seem to have just “fallen out of love” with one another. In this workshop, I help couples learn how to rekindle the love they once shared with their spouse and create a loving cycle in their relationship. Couples will leave feeling more connected to their spouse and a desire to maintain that feeling in the future. Often times the issue in relationships is the lack of communication and understanding about what each person’s needs are. It’s difficult to meet your spouse’s needs if you feel like your needs aren’t being met. In this workshop, I teach couples how to effectively communicate their needs to their spouse in a loving way to get their deepest needs met. I also teach couples how to avoid the traps of anger, resentment and disappointment from not having your needs met. Couples will leave feeling like their spouse finally heard them. The couples will leave with a practical plan on getting their needs met as Ill as how to meet their spouse’s needs. Many single, dating, and engaged people want to know what marriage is like before they make the commitment to go down the aisle. This workshop discusses the truth about marriage and debunks the fantasy. This is the behind-the-scenes view of marriage. I provide a way for participants to truly understand the biblical view of marriage with tools on how to practically walk it out and avoid divorce court. This workshop is our signature workshop. 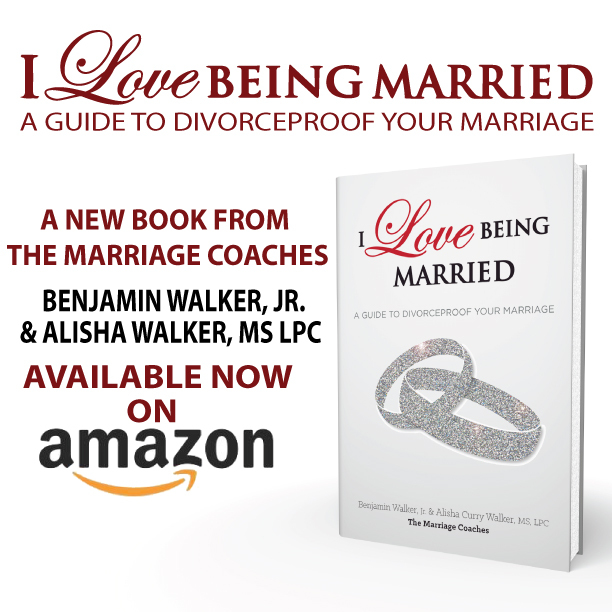 I have based it on our book, I Love Being Married: A Guide to Divorceproof Your Marriage. I teach couples how to divorceproof their relationships and learn how to love being married. This is our most in-depth workshop series because I break down the chapters of our book to truly help people have a practical plan in place for a better marriage by the end of our time together. I do this by helping couples understand their current marital situation, then envision and plan what they want their marriage to look like in the future. Every couple can benefit from this workshop because it helps them develop a plan to make their individual relationship better. This workshop is very in-depth and can be done over a two day 3 – 4 hour block or a workshop series. Students who are the most successful in college are not always the brightest and are not always the most talented. The students who are the most successful have certain characteristics that get them results. Preparing for college can lead to stress, frustration, anxiety and even depression. Many students are feeling the pressure at this time from all sides to perform at their highest levels so that they can get into a “good” college. Students are under more pressure than ever before and need even more support to navigate the pressures and stress that they are under.